Savor the true end of warm weather and its bountiful, juicy tomatoes, before it's too late! Now, more than ever, it's easy to can and otherwise preserve summer's bright fruits and veggies for long winters. 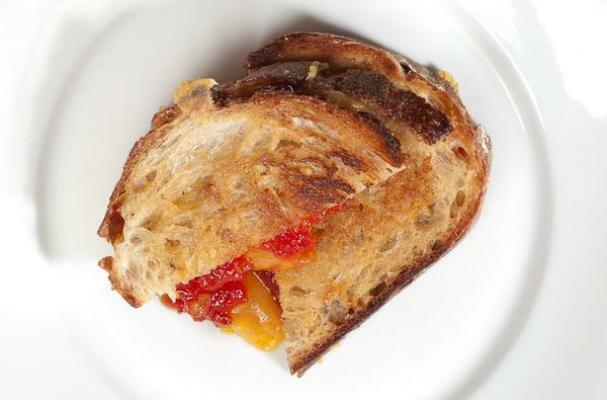 Make this tomato jam recipe from Herbivoracious, and pop open a jar when you need tomatoes to cure your winter blues. You might also consider this a chutney, especially with onion, chili flake and rosemary highlighting tomato's natural sweetness. Whatever you want to call it, it would taste amazing on a wedge of brie cheese and crackers, or spread on a dark and salty pumpernickel roll. Even better: It's a vegetarian, vegan and gluten-free jam.